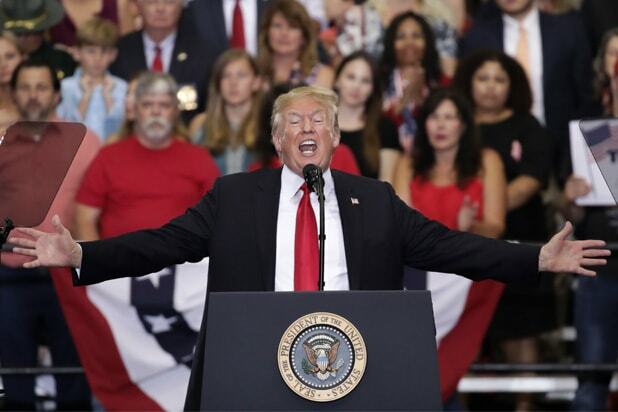 The New York Times issued a correction Wednesday about the size of the audience that came to President Donald Trump’s rally in Tennessee earlier this week — after being slammed in a tweet by the commander-in-chief himself over that very issue. The paper let Trump know about it on Twitter too. Trump, long sensitive to coverage of the size of crowds attending his public appearances, raised the issue himself on Twitter and blasted the Times for underestimating the turnout. Though it’s hardly a secret that President Trump freely makes false statements about matters both large and small, it turns out he was right about this one. On Twitter, Davis herself also copped to the error, but couldn’t resist her own jab at Trump.